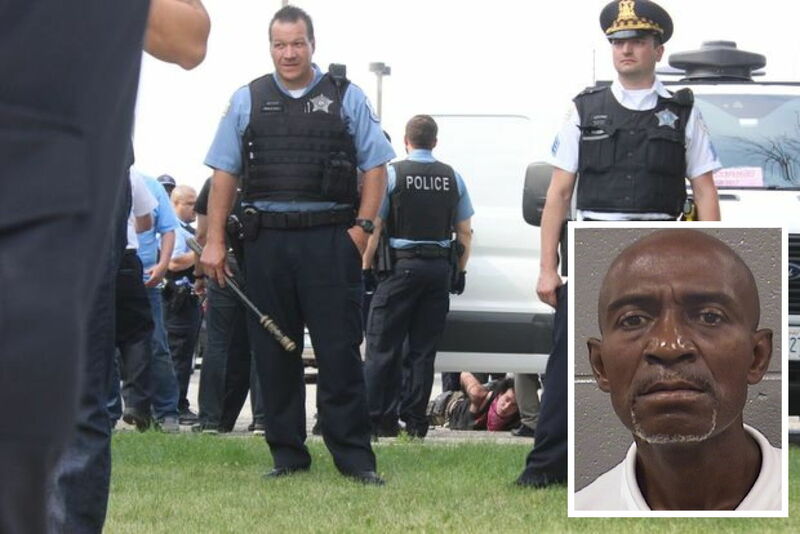 A career pickpocket was caught red-handed this week when he stole a woman’s wallet on a CTA bus, then stepped off the bus into the middle of dozens of cops who were handling an anti-facist protest, prosecutors said. 55-year-old Lawrence Steele stole the woman’s purse as they rode westbound on a #77 Belmont bus around 4:20 p.m. Tuesday, according to court records. He jumped off at Western Avenue and quickly transferred to a southbound Western bus. Unfortunately for Steele, nearly 40 cops were stationed on the street at Belmont and Western because “antifa” protesters had injured an officer during a dust-up moments earlier. The victim was able to quickly notify one of the officers who radioed out a description of Steele. He was arrested minutes later when 14th District officers boarded his Western Avenue bus near the Kennedy Expressway. Officers found the victim’s wallet and bank card onboard. Charged with felony theft from person, Steel’s bond is set at $100,000. In November 2014, Steel was sentenced to 2 years prison for (this may sound familiar) reaching into a woman’s purse and stealing her wallet while riding a #22 Clark bus in Lakeview.